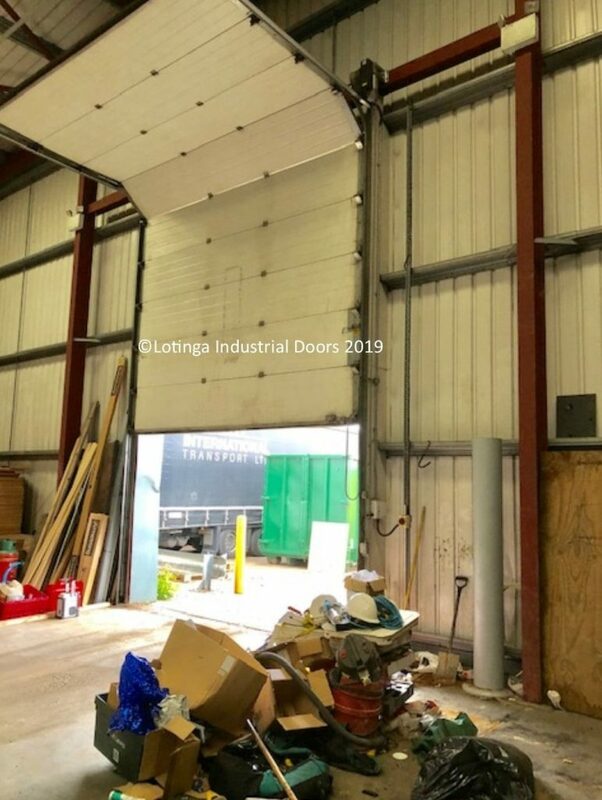 Here is an original opening, currently housing a sectional overhead door. To aid traffic flow, a wider opening was required. For this reason; cutting through cladding, purlings and steel work was necessary. In addition; existing steel bollards had to be removed. 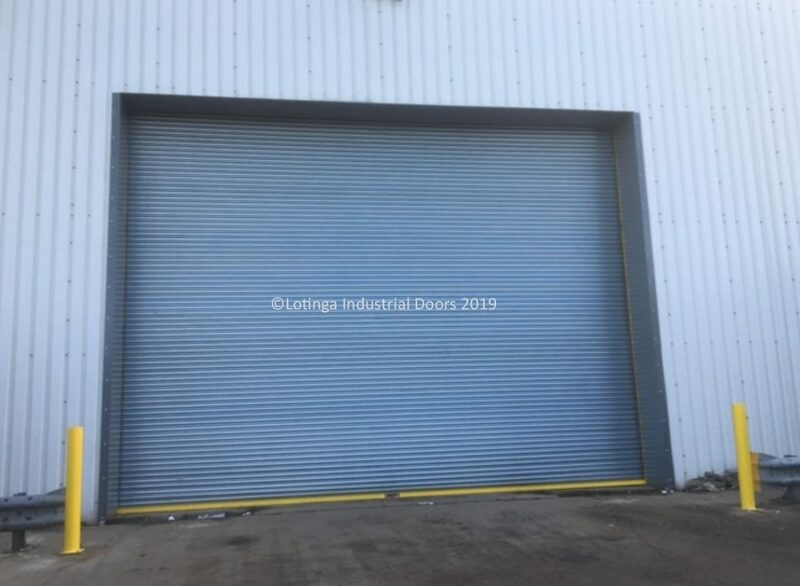 Sectional Overhead Doors are attractive looking and provide good insulation if needed; however; installation is expensive and maintenance, repair or replacement even more so. 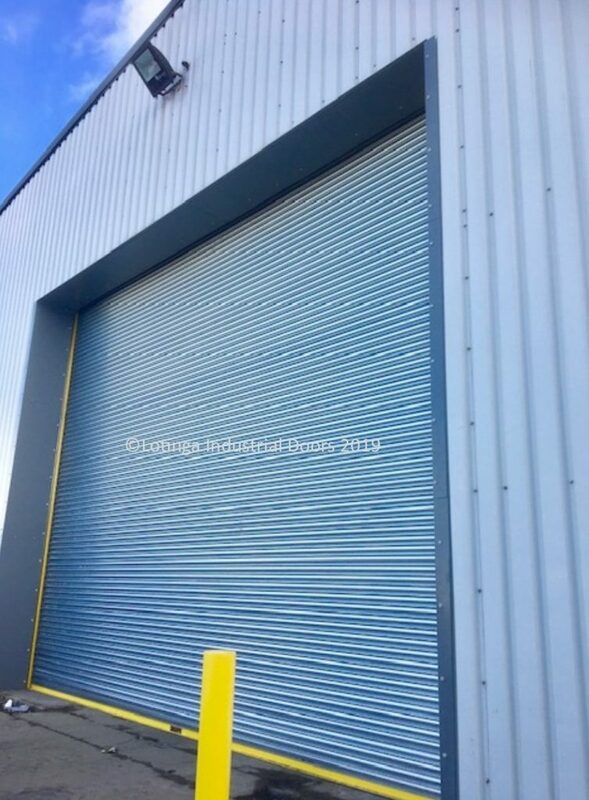 With this in mind; a roller shutter door was recommended, as a more suitable and cost effective option. 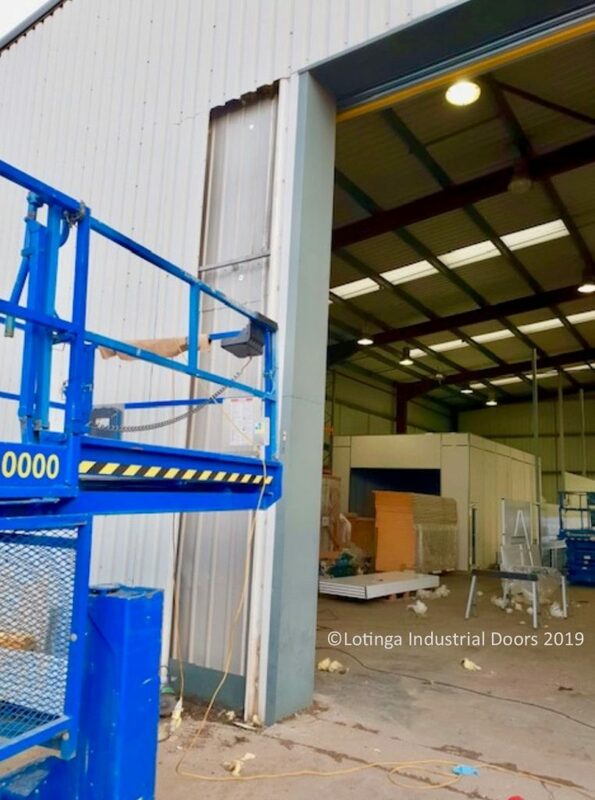 To make room for the larger opening; the cladding was cut through and the small steels, purlings and flashings were removed. 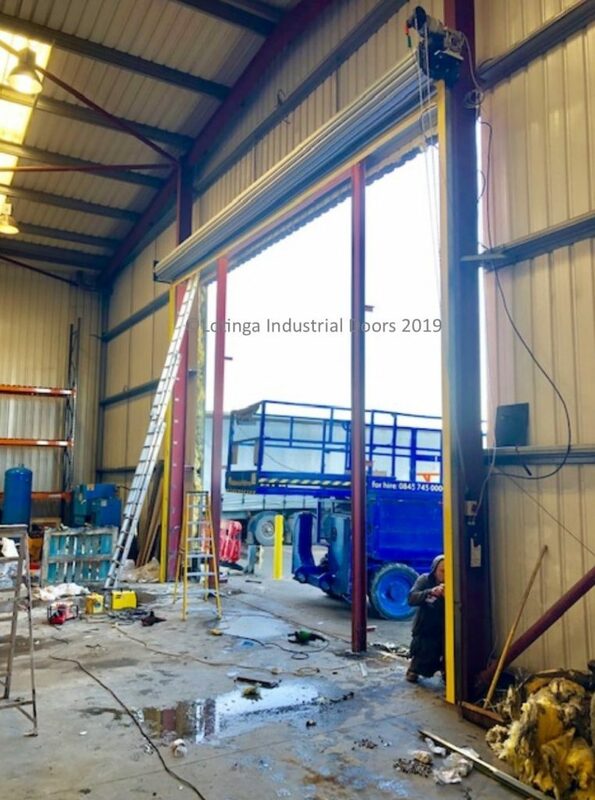 With the opening widened back to the main supporting steels, commencement of the galvanised shutter installation was underway. 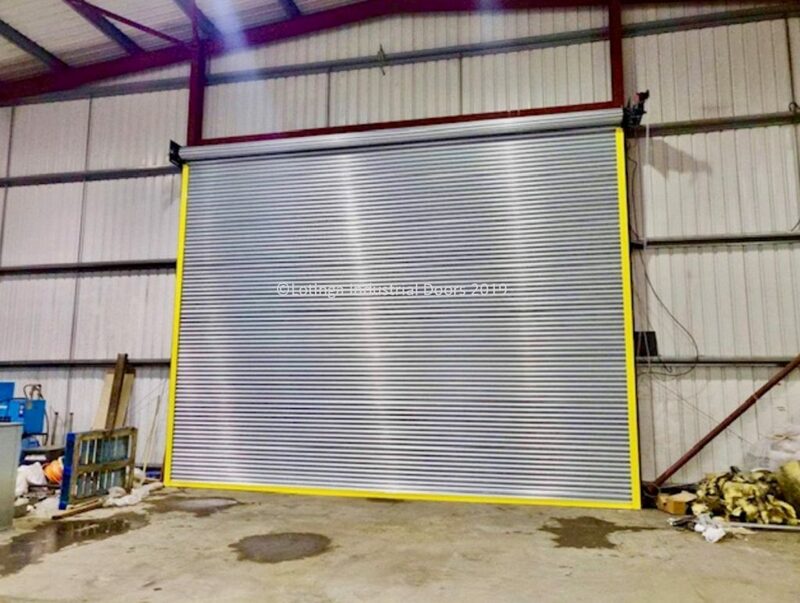 Because of the windy location of the opening, the shutter was constructed using a 20g heavy duty curtain. In addition; windlocks were added to the curtain and the guides to help hold the curtain in place during strong gusts. Also; new bollards were added to the corners to help protect the door from impact damage. 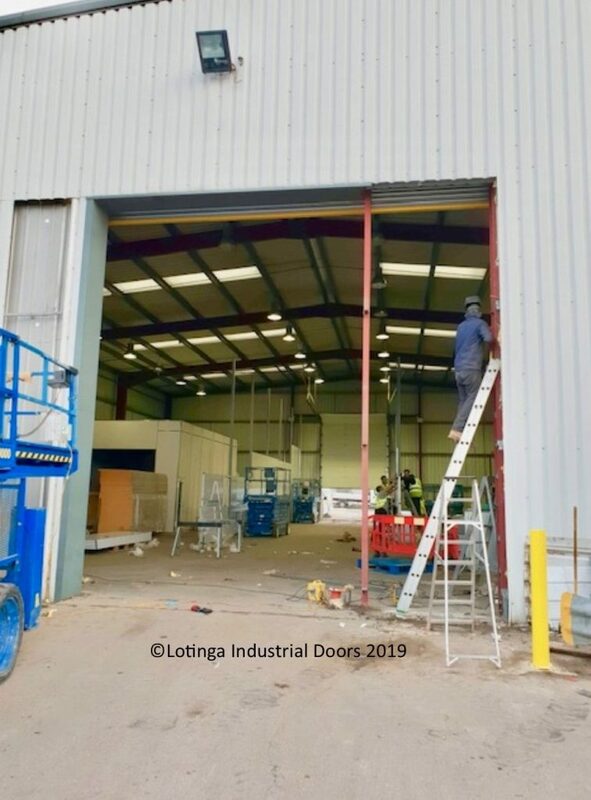 Not all industrial door installers can carry out steel fabrication. As a result of our experience; we can offer more options for an opening. Either making the entrance larger, or smaller to fit the customers' needs. 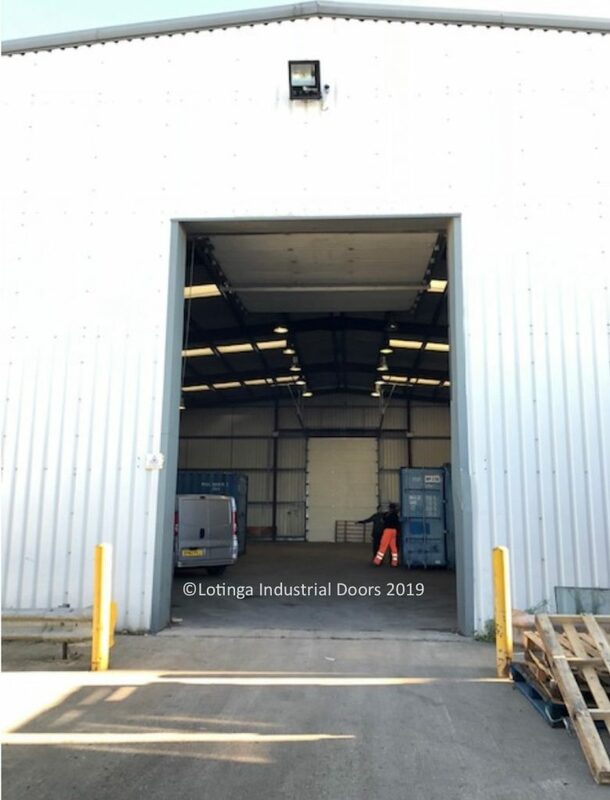 Do you have an opening that requires altering, or do you need advice on the most cost effective solution for a faulty door? Alternatively, click on our Enquiry Form for a No-Obligation Quotation.